Oh, Finland, the country that keeps on giving us good music in various forms. If there is one thing that I like about Finnish bands is that you never know what you’ll gonna get with their next album, as they tend to experiment with their sound more than most. Just think of HIM, Nightwish, or Amorphis and how much they shifted their sound in time. And the same rings true about Battle Beast and their fifth album “No more Hollywood endings” released on March 22, via Nuclear Blast. Judging from the singles released so far, the album seems to be more pop-rock and radio friendly than their previous ones, so is that a good thing or a bad thing? 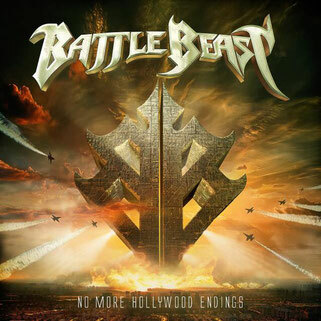 Here’s the deal: if you were expecting a full blown proper power metal album from Battle Beast, with soaring choruses, over-the-top guitar solos and all the rest, you will most likely be disappointed with “No more Hollywood endings”. However, you are a bit more open to different styles and genres, you might end up liking it, or at least liking a couple of songs. Personally, I love it when a band gets out of its comfort zone and delivers something new and fresh, as opposed to the same old stuff, even if it’s more pop rock and less metal. I mean, as long as the songs are good, does the genre really matter? Are labels more important that the music itself? 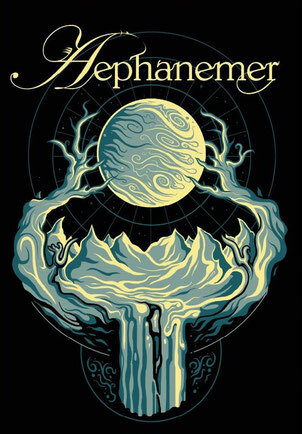 Nonetheless, I have seen bands going for a more accessible and light sound, and failing (Shinedown, Circus Maximus, Poets of the Fall), while in other cases it worked out pretty well (Nightwish, Kobra and the Lotus, Myrath). So where does Battle Beast fall? Well, the album is definitely a mixed bag of 80s inspired songs and some heavier cuts, which I know is the basis of their sound, but in this case it seems more like they crafted different songs rather than mixing everything together, as usual. As such the album is eclectic and varied, from the retro feel of the title track “No more Hollywood endings” to the power metal anthem “The Golden Horde”, and not as consistent as I had hoped, with a few misses and filler songs along the way. However, Noora Louhimo’s raspy voice is the glue that ties this album together, and her performance throughout is more than enjoyable. 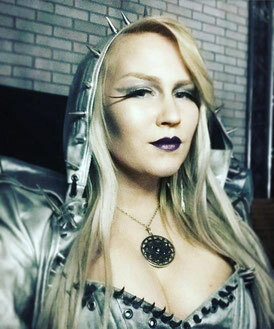 The symphonic infused opener “Unbroken” and the intense “Eden” bring the power and catchiness that Battle Beast is known for, while the title track “No more Hollywood endings” is as elegant as classy as a housewife from the ‘50s (the ones we see in movies, I mean) and just as fierce. So far so good, especially the guitar solo in “Eden”. The album shifts gears and ups the 80s vibe a bit more than usual with the next couple of tracks, “Unfairy tales”, “Endless summer” and “The hero” (especially that synth driven intro), as well as with the bonus track ballad “Bent and broken”, and it feels like listening to some Bonnie Tyler songs. This sound really threw me off, and this is where the band seems to have somehow lost their way, though I like the uplifting lyrical content and the guitar solo in “The hero”. With “Piece of me” they seem to get back on track and deliver the goods we usually expect from them – great guitars line and solo, upbeat and catchy melodies, nice hooks, all coupled with Noora’s incredible vocals. They play with some symphonic, borderline orchestral, arrangements on the backdrop of the ballad “I wish” giving it a certain finesse and style, though overall I prefer the upbeat feel of “Endless summer” to this one. 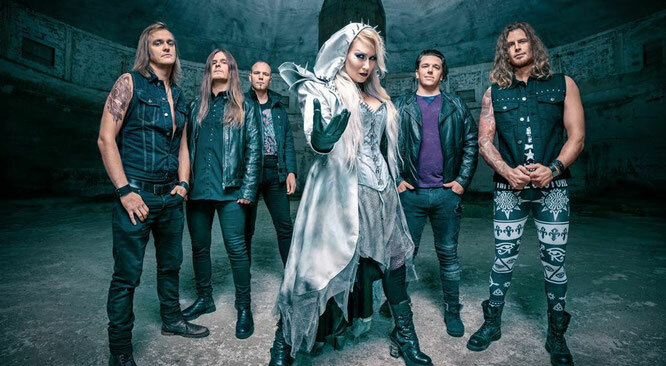 The next couple of tracks, “Raise your Fists”, “The Golden Horde” and “World on Fire” feel more like the Battle Beast of olden days, displaying all the trademark elements, and that is always a good thing. “My last dream” makes for a fine ending to this disparate and rather lengthy album (even though it clocks in at about 54 minutes, it feels longer than that). As much as I wanted to enjoy this album, I am afraid it’s rather bland for the most part, with only a couple of highlights like “Eden”, “No more Hollywood endings”, “Piece of me”, “World on Fire” and a few more rather decent songs. Basically the beginning and ending are great, the middle – not so much. They have tried to find a balance between metal and 80s pop, but this radio-friendly sound kind of pushed the overall quality of the music down a few degrees and made them lose part of their sonic identity. I mentioned a few bands throughout this review (HIM, Nightwish, Myrath, Amorphis), that have altered their sound but still feel consistent with their music. Not sure Battle Beast can be counted among them.